We've made the installation incredibly easy. You don't need any special knowledge of the Raspberry Pi. 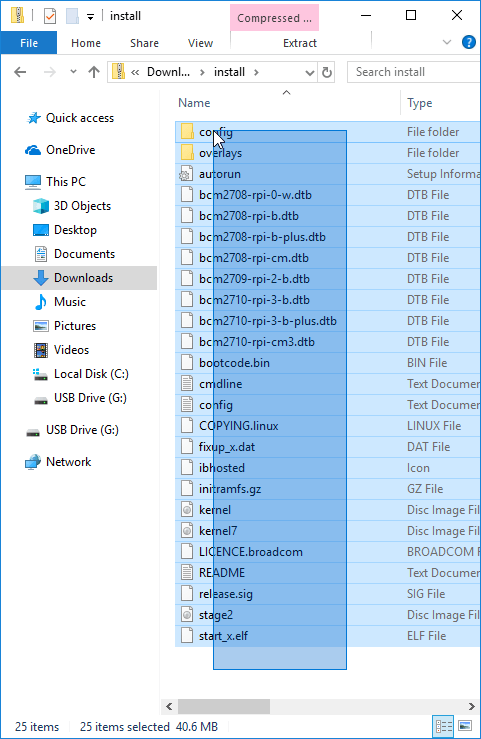 You just need an empty SD card and the install.zip file that you can download from the device overview page. 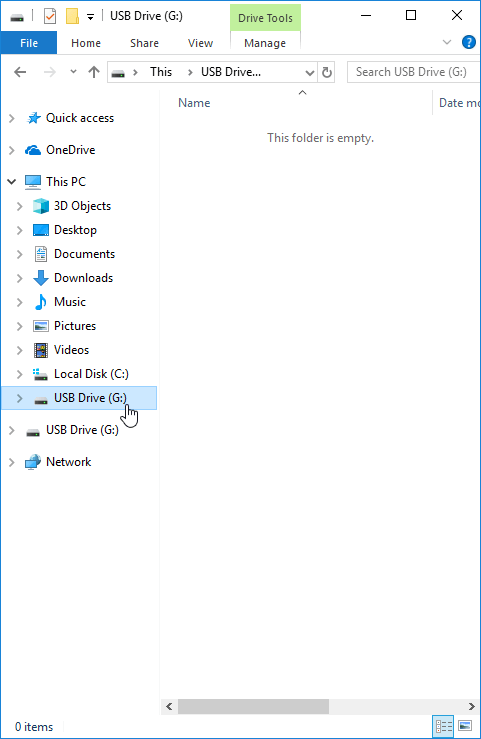 All existing files on the SD card you use will be deleted, so it's best to use an empty SD card. Step 1: Find the downloaded install.zip. It's most likely located in your Downloads folder. Step 2: Double click on install.zip, then hit Ctrl + A to select all files. Alternatively you can select them all by holding down the mouse and drawing a selection box around them. When you're done, hit Ctrl + C to copy all files. 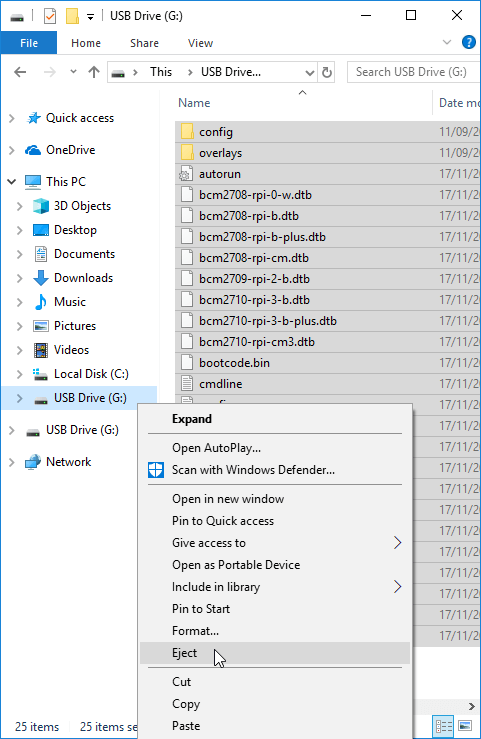 Step 3: Insert your empty SD card into an SD card reader on your PC. Locate the card by searching for the USB Drive. Click it. 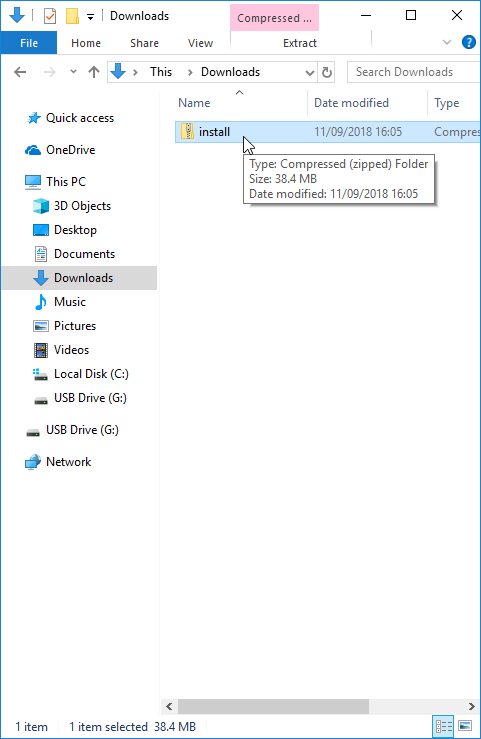 The right side should show 'This folder is empty' as it's an empty card. 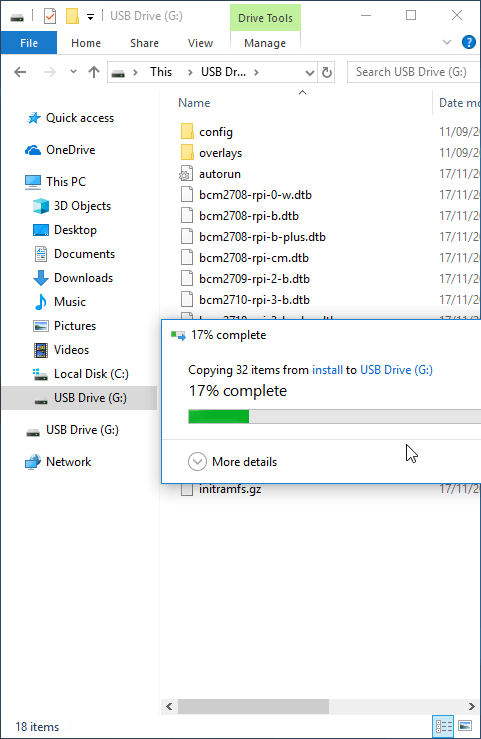 Step 4: Press Ctrl + C to copy the installation files onto the empty SD card. The info-beamer operating system is really small so this only takes around 30 seconds. Step 5: That's it. Time to remove the finished SD card. On the left side, right click on the USB Drive and then select 'Eject'. After that you can remove the SD card and put it in your Raspberry Pi. You can now follow the remaining installation guide for complete your installation.